What do we mean by "stress"? Like so many things that cause us grief, "stress" is actually necessary for life. Like the butterfly that MUST work its way out of the cocoon, in order to build the muscles it needs to fly, we need challenges that make us work for what we want. Without the appropriate amount of effort, life would mean very little. Have you noticed? What you invest in is what you value most. Excitement is stressful. Passion is stressful. Pushing the envelope is, too. Stress can also be a killer. It creates tension in your body, washes your brain with cortisol, and highjacks your thought processes. 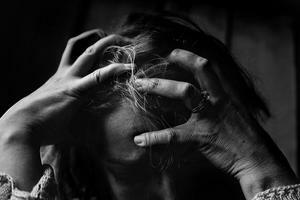 People may develop addictions as a mode of dealing with stress. When you find yourself "too busy" for self-care and pleasure, your stress is eating you alive. What are signs of unhealthy stress? Do you have "bad nights," when you feel you cannot sleep, more than two times a month? Do you have bodily discomfort, like unexplained muscle tension? Do you have a short temper? Do you have digestive problems, or regular tightness in your stomach? Are you overeating, or bingeing on junk food? Do you have a lot of headaches? Do you often drink too much, or smoke pot on a regular basis? Are you afraid of your boss? Do you feel you "have to" work more than eight hours a day? We call treatment "stress management" because that’s our goal. We can’t get rid of stress entirely, nor would we want to. We work with both emotions and behavior, and with both internal and external triggers. If your stress is primarily internal, if you are driving yourself mercilessly, we need to understand what makes something so important to you. What is it, in you , that causes your your neck to tense, or your heart to speed up? Are there thoughts, images, memories that do it? Are there fears for the future? "What-ifs" can be a huge source of stress. The answer to self-imposed stress is simple, and difficult. We identify together what horror stories you are telling yourself, and we practice changing the narrative. One thing about scary stories: they’re pinched They usually don’t leave room for any thoughts other that frightened ones. So part of making this change is making more room for other possibilities. If you can’t actually predict the future, why not imagine something pleasant, instead? Of course, that is the difficult part — to shift from the anxieties that have given you the sense of being prepared for the worst, to be open to other possibilities. Which could be anything. If the triggers for your stress are external — a bullying boss, a nagging relative — we focus more on how you are in relationship with others. We can’t change someone else, but we can work on ways for you to handle yourself differently with them. You can learn to be less reactive. You can soothe yourself differently, reassure yourself, calm your own nerves, and deal with difficult people on a more equal basis. What is the goal of stress management? We’re looking for a balance that serves your mind and body. When you suffer too much stress, you are basically feeling too much at risk, too much of the time. We have to find ways to reduce that sense of danger. You have more power than you think, to find different ways of looking at things, creating expectations, and interacting with others.